This is the second part of my coverage of the documentary feature “Thank You For Playing”, which premiered at this year’s Tribeca Film Festival. The film is centered around Ryan Green, his wife Amy, and his family, as they endure the struggle of having their third son, Joel, live with terminal cancer. To put their voices out there, and make their grieving process something to share with the world, Ryan and Amy began the process of telling Joel’s story through the medium of Video Games with their indie production “That Dragon, Cancer.” Now, four years into development, and a year after losing Joel, Ryan has begun promoting the game as it approaches its Fall release, and I got to personally meet him at the Tribeca Interactive Playground on the first Saturday of the festival. The following week, I’d had a rather extensive conversation with Ryan to gather a sense of where he feels the game has grown to this point, and how he and his family were receptive to David and Malika filming their story over the course of two years. I’m grateful for the opportunity to have this conversation with Ryan, who is very open about talking about his family, and getting to the emotional core of his creation and of the film. Linked here is the audio recording of our 30 minute conversation, which you can also download in our The Young Folks iTunes feed. Below is a print copy of our conversation. Evan: How was the rest of the Tribeca Trip? Ryan: That went well! We got to participate in the Interactive Day on Saturday (April 19th) which was awesome, and then we had to come home on Sunday. Unfortunately, we did miss Games for Change, which I was really bummed about. Evan: So how long have you been a maker of games? Ryan: So back in High School, that would’ve been the late ‘90s, I got into programing because I wanted to make video games –qbasic, that sort of thing– but then I got into web design programing. Eventually, I worked in healthcare, actually, for over ten years, and then after Joel got sick, a few different life events happened. At that point it just seems like the right time to jump back into why I got into this area in the first place, and that was video games, films, stuff like that. So I made the jump from healthcare to a small indie shop called Soma Games, just outside of Portland, and I worked with them for two years before joining up with Josh and doing this. So, I released some mobile games, both personally and professionally through Soma, and did some contract work in that area. So yeah, it’s been going on now, gosh when I think about it, about four or five years that I’ve been doing video games. 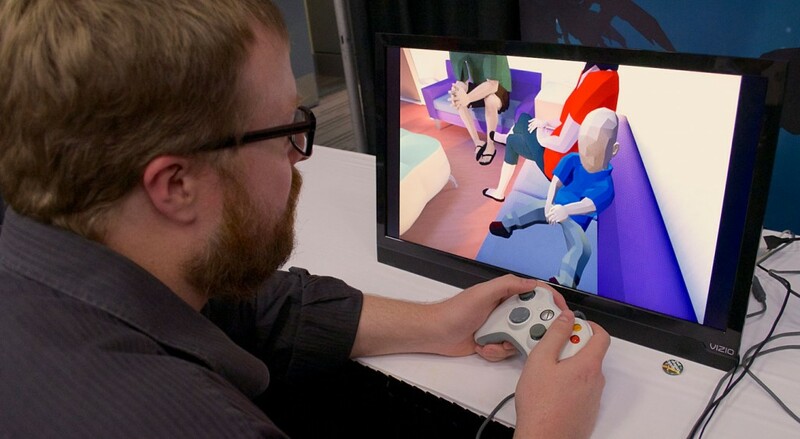 Evan: You started with funding from Ouya, and then you had your Kickstarter campaign. 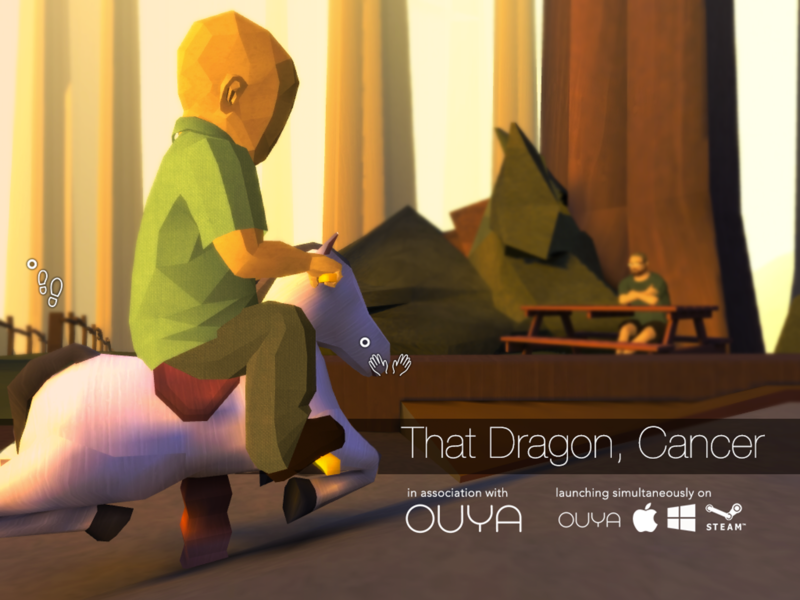 Has your goal for “That Dragon, Cancer” changed in the time since you began? What did you want to achieve with telling your story? Ryan: Oh, yeah, certainly… we started this project when Joel was still alive, and by all accounts, it had surpassed everyone’s expectations. I mean, he had been terminal for a year and a half when we started this project, so this wasn’t something we started at the very beginning of his illness, or after his illness, it was something we very intentionally started in between. And part of that reasoning, at least creatively, and even credibility-wise, was that our desire is for people to see us for who we are. That transparency for us was very important, because I think there is a tendency to feel that you have to have an opinion about something after you’ve experienced it, right? Now we have an opinion, but you can also see our opinions change throughout the whole process. And for us, honestly, we were hoping to just document a miracle. You know? How cool would that have been to start this project, and Joel was still alive, defeating that dragon, and God has done something miraculous in our lives? How neat would that be? So, I think there was a certain amount of, I guess, bravado. You think “It’s okay, we’re doing this, it’s exciting, everybody is paying attention, look how amazingly everything is going.” I think losing Joel has certainly tempered that, but also kind of allowed us to mature in that process of grief and mourning. 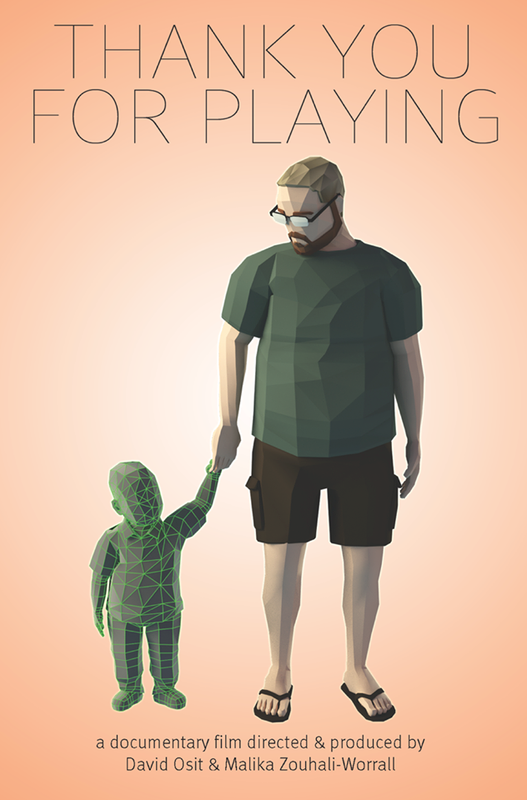 As an example, early on we wrote a film about a couple losing their child to cancer, but we hadn’t lost Joel, and I remember after making the film that we had never really released it. We just kind of buried it, because I didn’t feel like I had the artistic right to even go there. Had we made that same film now, it certainly would have been different, with the way we would have handled it, how we’d have acknowledged our own grief, to have processed all of those things. Whereas before, I had wanted it to be a living memorial to a living child, but now it’s a living memorial to our child who has passed away. There’s a heaviness, and a weight to it. Also, to bring in the stories of all these other people who’d been involved through the Kickstarter, adds a weight thats real and tangible to us: this is the shared mourning of a group of souls and families who have walked through this valley, and not everybody’s walked through that. It’s a club I didn’t want to be a part of, but now that I am it is something that has changed me profoundly. It’s such a simple shift, but I think we needed to go through that process to find the heart of what we’re doing. Evan: Amy contributed a lot to your creative process, especially the writing. Do you feel the game would have been drastically different without her input? Ryan: Oh yeah, I love what she’s contributing to the game. For us it was important that we write from our own voices. So, when you hear an inner monologue from her, she wrote it. When you hear from me, I wrote it, and we performed it all ourselves. And then a lot of the dialogue in the game that we have is her writing. She just has a way with that. Throughout the experience with Joel, Amy was blogging almost every day, and kept our family blog. So, you can kind of see how we changed, spiritually, over the experience. We approach our faith in very different ways. Sometimes it’s frustrating for me because it comes so easy to her. Sometimes it’s frustrating for he because I’m always tearing it down to build it back up again. But we always arrive at the same places, especially when we’re dealing with things like questions of death, life, eternity, our son and how we talk to our children, and all that is certainly effective. It needed to be our voice. It needed to be our writing and our poetry. I think without that I’m not sure people would really believe it. But when people listen to it, regardless of if it’s good poetry or dialogue, you know that it is us. I think in that regard it serves its purpose, which is to really invite you in. My hope is that, ultimately, people feel like a friend once they’ve played through it, and they’ve gone through the experience, and hopefully feel we have added more than we did take anything away from them. If they felt they were a friend, and they had the right to be there, and to wrestle with these things the same way we did. Does that make sense? Evan: In “Thank You For Playing” you briefly mention americans being afraid of talking about death. Do you still feel the same way or has this experience changed that opinion? 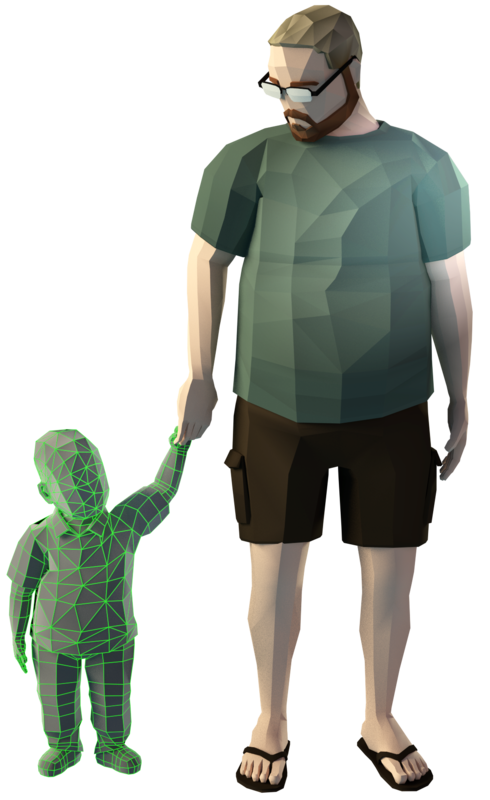 Do you feel like your game and Joel have helped that fear we have in any small part? Ryan: I feel like in america there is this collective social taboo, but individually people are very willing to share. We can feel a tremendous warmth from gamers and film lovers alike, people want to talk about it, they want to tell their stories. They just need permission. I think in some ways we are afraid of death in the eternal sense, right? We’re just kind of like “oblivion, that’s terrifying.” But in the more temporal sense, I think we just need permission to talk to eachother. I tell a story about how one time I went to a Best Buy, when a friend came up to talk to me with Joel, and then the guy behind the counter then shared his story. You just need a reason, because you can’t just start a conversation with somebody like “Hi, I’m Ryan, I have four children and one of them died last year.” You just don’t do that. Do I say five? Do I say four and not acknowledge Joel? It’s this weird social practice of, how do we talk about the people that mattered to us? And when do we get to talk about it? So, for me, I feel we’ve just given people a chance to talk about it, and they’re ready and willing. I think as far as death goes – and many of us have experienced cancer, it’s pretty much universal- but childhood cancer is less universal. And I think in other countries, where things like clean water are an issue and other diseases are even epidemics, it wouldn’t be rare to find a family that has lost a child. Here, I think that loss would be rare to find. However, I feel that everybody knows somebody. When I say that, its that it is not as familiar to us, death is not as near to us in this country. We can kind of keep it at arms length, and behind doors. So I think this forced us as a family, we can’t shelter our kids from it. They were going to lose their brother, you can’t protect them from that. So, in that regard, its like, how do we talk to them? How do we address these issues in our everyday conversation so that it’s not a taboo within our family. Evan: How did it feel having David and Malika around for nearly two years? How did the kids feel about being on camera, with this being a constant presence in their lives? Ryan: You know, we weren’t going to make them do it, we asked their permission. They seemed to want to do it. Caleb had quite a few interviews with the crew that didn’t make it into the cut, and so I think they like we’re creating this game, and that people will know about it, and about Joel and our family. I think that’s cool to them, knowing that my son wants to be a video game developer, and so he thinks thats awesome. I think as children they don’t quite have the vocabulary to discuss all of their emotions yet, and so my hope is that this process was positive for them, and I hope that is is. Like I’ve said, if there’s a reason to bring up Joel, we’ll bring up Joel. If he comes up in conversation, well then lets talk about him, what we loved about him, what we’re disappointed by, and what we remember. I think having those open conversations are important, because otherwise I’m going to feel like I’m hiding something from them, or that I’m not available to them, or we weren’t willing to grieve with them. Like when we first saw the film back in February, we saw a rough cut, we just spent the next 15 or 20 minutes just holding our kids, because they were grieving too. I think this has become a healthy way for us to express our grief process, and to give our kids opportunities to express that as well. One thing we’re exploring now is how Caleb and Isaac can contribute some of their art to the game, and be a part of that. And to add their ideas, there’s a specific part of the game that talks about how we talk to them about all of this, and we really want their handprint on it, and their voice to be in it. So, yeah I think for me, its been this process of, like, not being so selfish with the game, and not just making it about my expression, but about our expression as a family. And then, by extension, a lot of other people’s expression. So, it’s not what I thought it would be when we started this, but I’m grateful that we have it, and grateful for the opportunity to make something beautiful. Evan: On the note of remembering and grieving, do you feel our ability to instantly create memories today with the endless access to technology and cameras makes grieving any easier? Or do you feel maybe that it’s made grieving easier with a lesser chance of forgetting those memories? Ryan: Well, I mentioned in the film that I was afraid of forgetting Joel. And what I’ve found over the last year is that his life and his image fade so quickly. Like, life moves on, and we’ve got kids who have to go to school, and work that we have to do and everything else is so like… what I’m so grateful for is that I get this tether through this project to constantly look back at him, because life moves so fast. I am very grateful for that instant ability, we have hundreds of videos of him, we have thousands of photos, we have recordings of him. I keep special videos on my phone from the end of his life that I can move myself to remove from my phone. When I want to I can lay there and look at Joel, and see those videos and on the anniversary of his death I was on a bus, and it pops up on FaceBook, and get a hundred pictures to look at. With this film, I got to see it twice this weekend, I got him back for two hour at a time. It was so special to be able to have those things frozen in time. People say, time is like a river and you keep trying to hold onto these rocks or swim upstream, but you can’t. So I’m very grateful, and I think about even my family members who have lost people even 30 or 40 years ago, and all they have is one photo. I have an embarrassment of riches in that regard. Evan: Do you feel like the game and the film themselves help Joel live on in that same way or would you say they’re more pieces to share with the rest of the world? Ryan: You know, they’re not him. They’re just shadows, echoes of him. And I’m grateful to have those echoes and that other people can interact with those echoes. Just the idea of somebody being able to make him laugh, and hear that laughter as a response to something they did. That’s universal. That’s something everybody can connect to and appreciate, it just so happens that it gets to be Joel’s echo. So, yeah I don’t know. It’s become more of a memorial. I want it to be able to live on it’s own now. Not just as this mausoleum. I want it to live in a different way, as a work of creativity, as a work of love, and as a gift that we can give to somebody else-and that’s not self indulgent- I want it to be something that gives to people. And so I hope that the way we do this, people feel like we’ve given them a gift or that we’ve improved their life in some way. Even if what we’re giving them is a story of our loss. I think that’s the paradox of all of it. Evan: I assume the boys still play games after all this time, what have you all been playing together? Do you play anything in your spare time? Ryan: Definitely Minecraft and Super Smash Bros., but I, you know. When you make games you don’t play games. I did see something that I connected with recently that I saw as part of Antholojam, it’s called The Absence of Is [By IceWater Games]. It was this very moody, kind of cinematic experiment, and I just found it really compelling. So, that was one I played very recently, and of course I have to give a shoutout to Towerfall. Evan: When we spoke at the interactive playground on Saturday, you mentioned that most of what you guys have left to do before the Fall release is a lot of polish, debugging and refinement: what comes after? Ryan: Something that we’re doing next week, the film is going to Toronto next week as a part of Hot Docs. And so, they’re showing it there, and we’re going up there too. We’re actually going up there too, meeting with a hospital for sick kids, and showing the film and excerpts from the game to the hospital staff. That kind of is our hope going forward as we try to spread the word of what we’re doing, that through the film and the game, we can create these kind of events where people can come, see the film, maybe theres a reception, maybe play the game. But hopefully the net result of that is that we’ve made this permissive space to talk about these things: how cancer has affected us, the loss that we’ve faced, our personal stories. Hopefully its… you know how cocktail hours are like… you go there and you don’t talk about anything? …That’s so boring to me, and I feel like that could be really neat if we could have that kind of event with talking about really personal things. We can have other people from health care, from media, or people from technology and families to really come and talk this stuff, and hopefully to inspire change. Both inside, like how we think about life, and faith and everything else. But, also a call to action. The thing I never realized is how going through this kind of changes the call in your life. You feel compelled to talk about this stuff, and you hope other people care. And hopefully, either we will raise money for research, or raise money for families that are going through this stuff, or to be able to have the means to continue to do this work. So, we’re going to launch on Steam and Ouya, the film might come to theaters, but most of all it will show up on PBS next year. And hopefully we can gather people together, and have a positive impact on people. I think people are scared to approach this topic, and they hear about what we’re doing and they’re like “I could never do that.” And I almost said the same thing, but you go through it and you realize, “Oh you can do it, because you have to.” At some point everybody has to face these things in their life, and the sooner I think we do face these things, the sooner it changes us, and how we treat people. I think that can be a positive thing. You dont have to go through it, but if you stop, you look at it, and consider it, it will change you, and I hope for the better. Evan: Do you see yourself continuing trying to make more games, or are you considering yourself more as an ambassador of the conversation? Ryan: I think we can have these conversations in so many different venues. I think the main thing I’m interested in is people telling their stories, like giving their testimony. Because when people tell their stories from the heart you can’t really argue with it. It’s totally disarming where, all of a sudden, you can have these conversations. You’re not fighting, you’re not yelling, but you’re seeing each other. So, I figure, if we can do stuff that inspires people to see each other, then that’s something I want to be a part of. So, I feel like in the future, we would love to continue to make games. We have ideas. But I think they’re rooted in creating meaningful experiences from people’s stories. So, while it’s not quite a documentary, it is based on people’s voices. So, that’s pretty important. Click here for my interview with Thank You For Playing‘s co-directors, David Osit and Malika Zouhali-Worrall in our film section.